Eating well with diabetes just got easier. 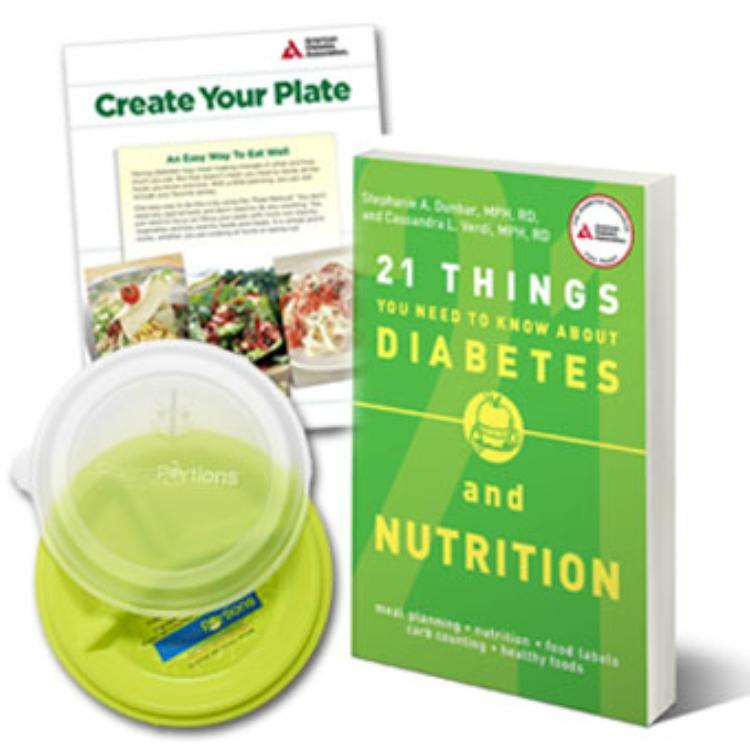 This set includes 21 Things You Need to Know About Diabetes and Nutrition, your go-to guide for simple solutions to your questions about diabetes nutrition. With practical tips and strategies to help you put a healthy meal plan into action, plus delicious diabetes-friendly recipes to get started, balancing nutrition and diabetes has never been easier. To keep portions in check, we’ve also included the Precise Portions 9” Go Healthy Travel Plate with Lid. Now, wherever you go, you can manage your portion sizes using this three-sectioned to-go plate featuring an easy-sealing lid with ventilation control for microwaving. 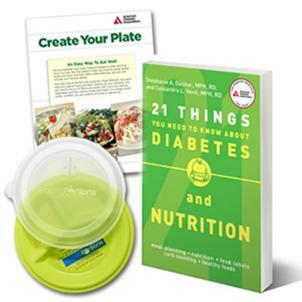 As a special bonus you’ll receive Create Your Plate: An Easy Way to Eat Well, a brochure featuring a two-page layout of the plate method for diabetes meal planning.